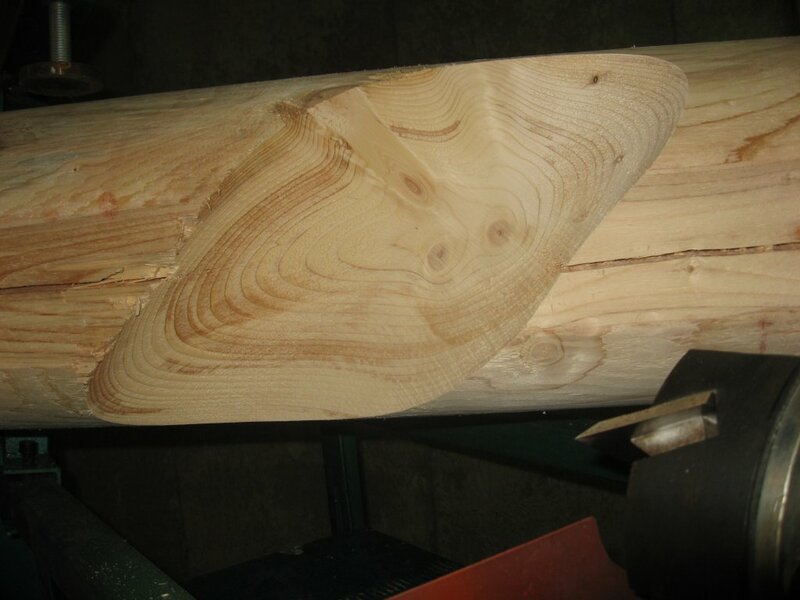 Many log home designs come up with idea to connect walls in log home in angle different than 90 degrees. 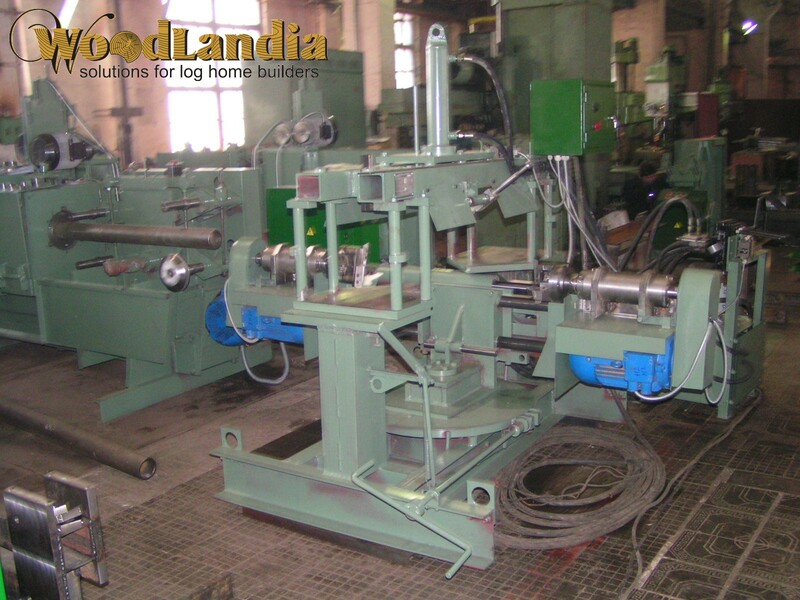 Woodlandia notch milling machine NM-1 is intended to cut notches of 45, 60, 90 and 135 degrees (other angles are also possible). NM-1 is relatively light machine (600lb or 300kg) and can be moved even to building site and work from portable generator. 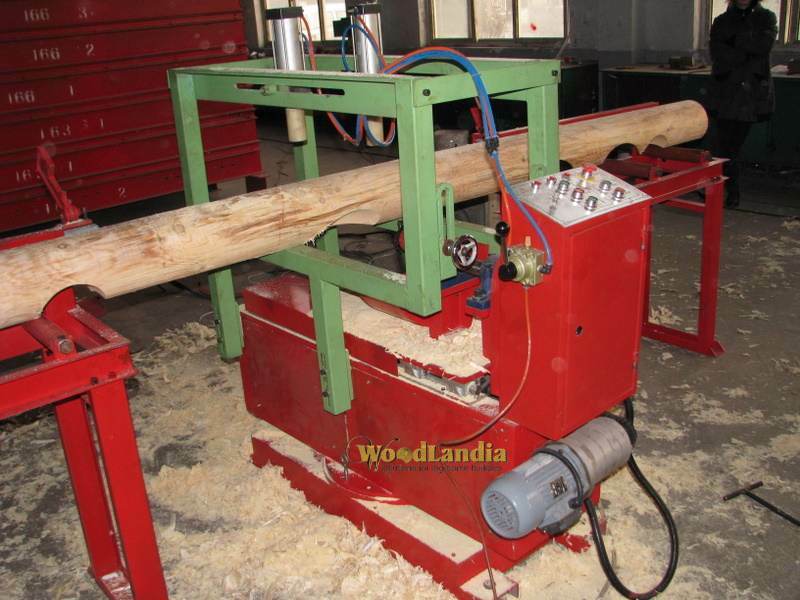 Such idea is used by those log home building companies who buy milled round logs at wholesale price and them mill notches at building site. 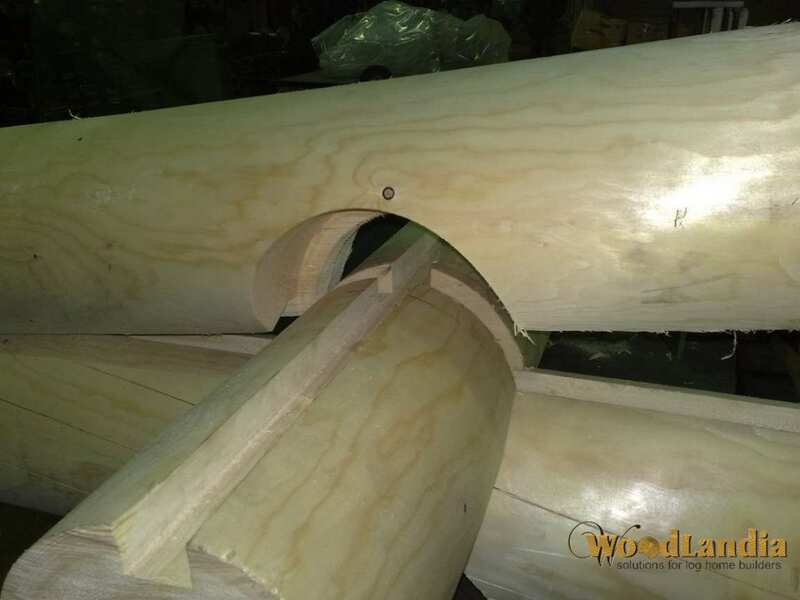 Many businesses improve production process by using LL-41 (or RLM log rounding moulder) just to turn logs to necessary diameter and mill lengthwise groove (Swedish cope) only. 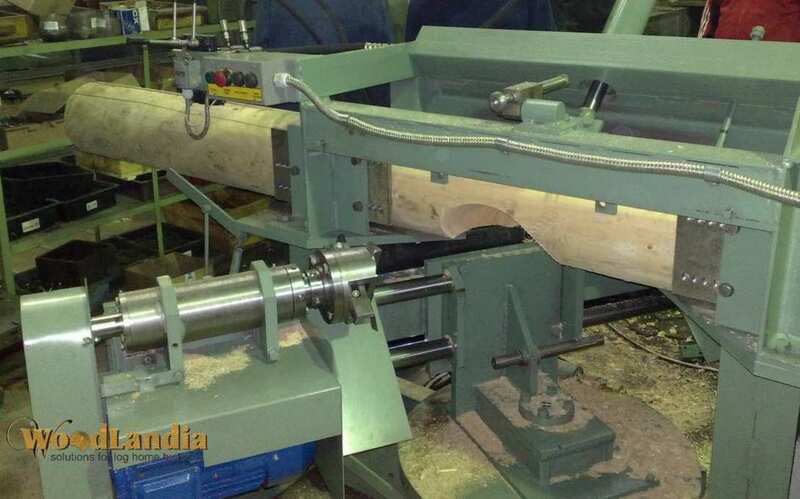 And then processed log is moved to other machine (NM-1, NM-2 or NM-3) where notches are milled. Such configuration where 2 machines are used simultaneously can increase productivity of the business on 35% and even more. Such parallelism can increase productivity of the business on 35%. Dedicated notcher NM-1 adds flexibility to designs and is a nice helper for log home builders. Notch maker can significantly increase productivity of the business since there will be no expensive time spent for notching on LL-41. 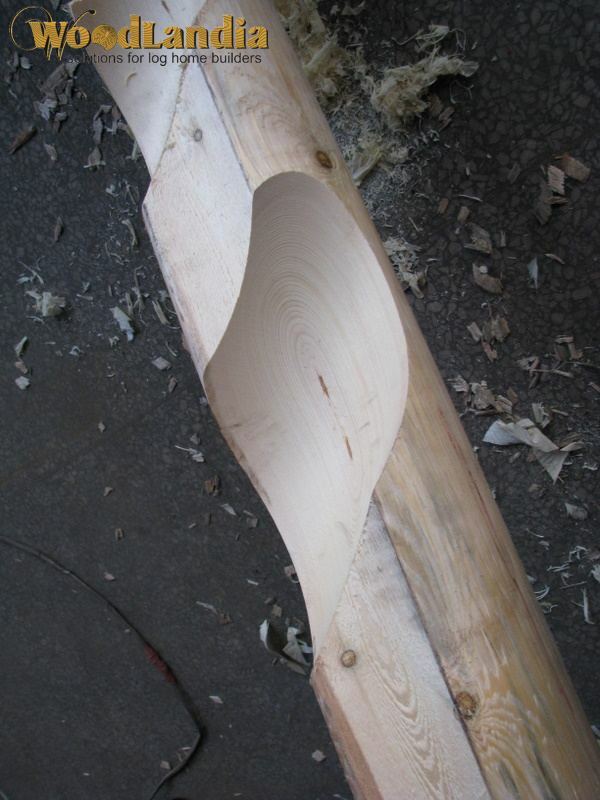 Round notch can be milled during 2-5 minutes including log setup. 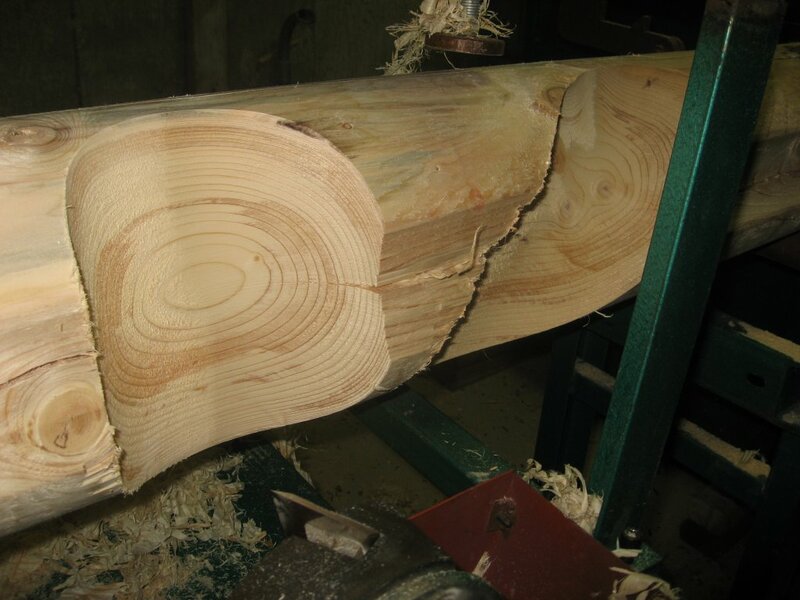 Output depends on log species, diameter and hardness. For bigger log diameters or hardwood logs slower carriage speed must be chosen. Just one cutter head is necessary for whole range of diameters. The NM-1 is sold as a kit, which requires Buyer's assembling and setup. The NM-1 has moving and rotating parts which can cause accidents if operated or installed improperly. Each customer is required to sign "Release of liabilities" form. Machine can be shipped from our stock in Toronto, Ontario, Canada or directly from our manufacturing facility in China depending on Buyer's order. The warranty covers all electrical components & bearings of the machine. 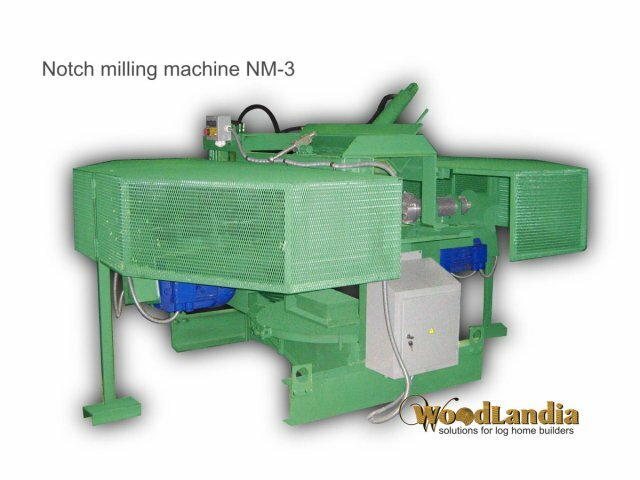 NM-3 is turn-key notching solution. The machine has 2 unique cutter heads which work for wide range of diameters (no need to replace cutter head when switch between log diameters). The benefit of two cutters is smooth and nice facing edges and quick notching. 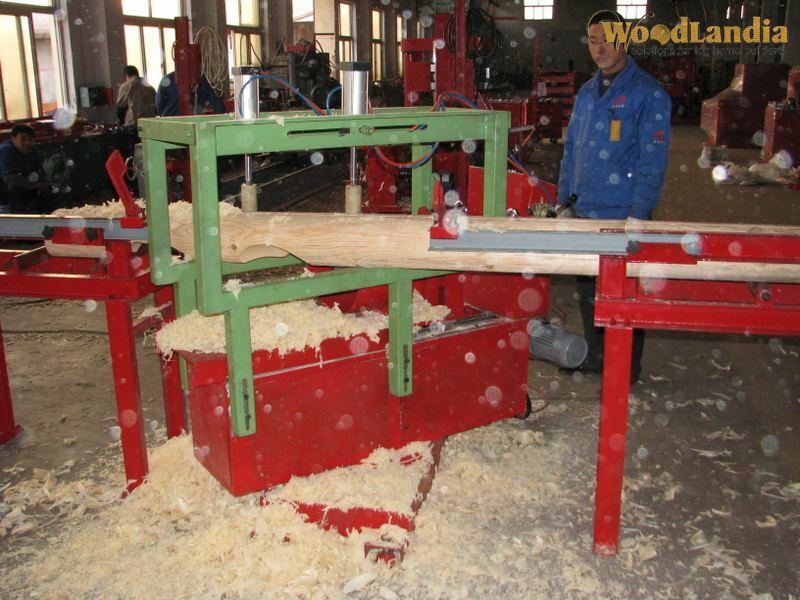 On NM-3 both cutter heads start milling from 2 sides of the log what eliminates "splits". Then one on the opposite side stops and moves to "parking" position while other one continue milling to the point where 1st cutter head has stopped. Cutter heada are specially designed and work for range of diameters. 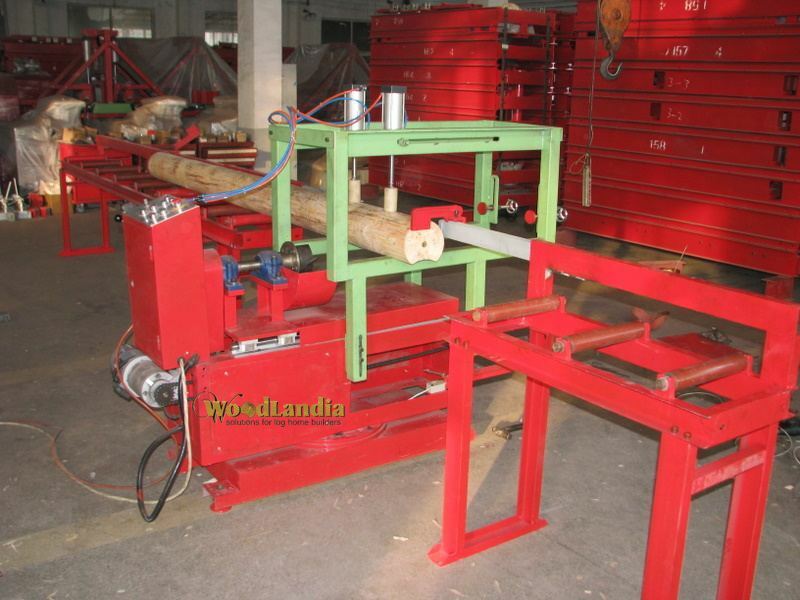 Pressure , kgs/cm2 30-35 The machine has hydraulic log clamp. Two carriages with cutter heads are driven by hydraulic cylinders. By default NM-3 machines are made for 380V/50Hz European power. By special order the 470V/60Hz motors can be installed on the NM-2.